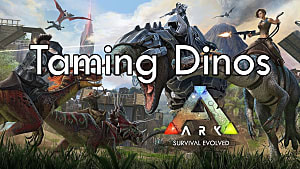 A new patch means new dinos to tangle with and (hopefully) tame for your tribe! 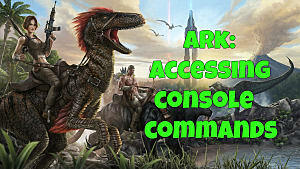 ARK's update 253 brought five distinct new creatures with it, ranging from aquatic creatures to land-based aggressive carnivores such as the troodon. 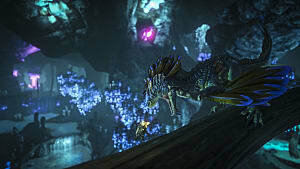 While comparatively small, these nasty little dinos quickly drain stamina with each attack and can easily overwhelm a lower level player -- which is why you want some to travel with you! 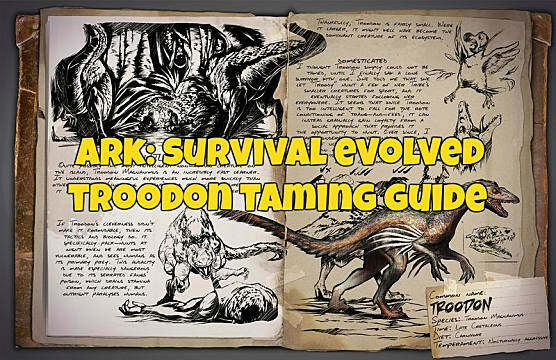 Below we cover everything you need to know to survive an encounter with a troodon and tame one to join your retinue of dinosaur companions (we previously covered harvesting the cnidaria here, with guides on the remaining three patch 253 dinos coming soon). 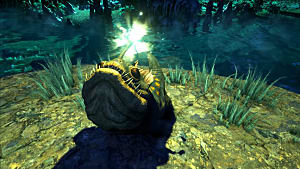 Most dinosaurs require knocking out and feeding specific foods to tame, which isn't always a simple task when dealing with aggressive dinos that have very large teeth. 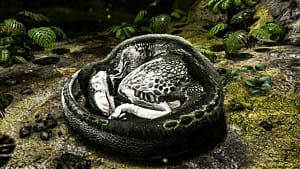 The troodon, however, adds another level of complexity: rather than being hit by torpor attacks and fed, they have to eat your tamed dinos of their own accord instead! The creatures you put in harm's way must actually have been previously tamed by you (or your tribe). Small, but dangerous -- probably better if these are on our side! There's an important caveat here in case you thought this was going to be easy. 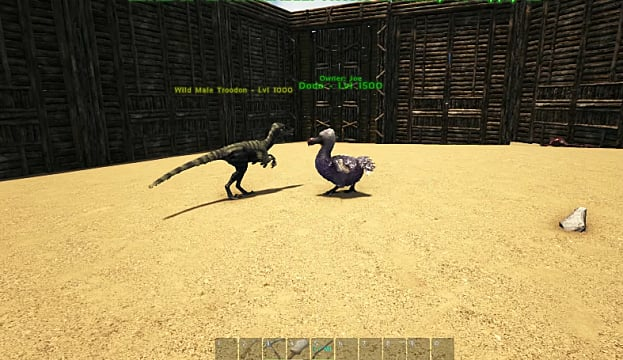 Your tamed creatures can't just be set to passive and left in an area the troodon can be found. 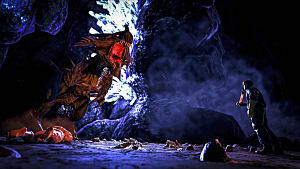 The idea is that your tamed dino fights back, which leads to a difficult taming process as the animals kill each other. There is a workaround, however -- at least for now, as this may be patched out -- you can set your creature to neutral and knock it out out (or leave it on aggressive and damage it down to extremely low health). Obviously it takes a bit more effort, but the results are worth it, since its less likely your creature will accidentally kill the troodon. 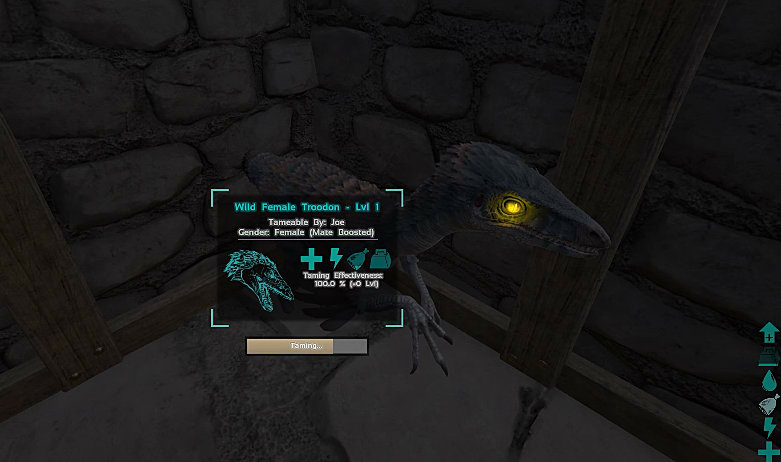 Going that route is also helpful as the troodon AI seems to be a little nerfed right now, and they may randomly attack objects like walls or focus entirely on you and ignore your tamed creatures, making this a difficult tame to accomplish. Goodbye brave dodo, your sacrifice will be remembered. Troodon are more dangerous at night, but their taming schedule also speeds up after the sun goes down. 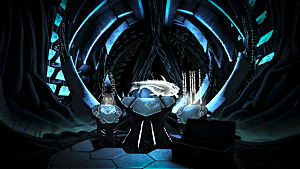 This makes them more intimidating, but also makes the overall taming process go much faster. 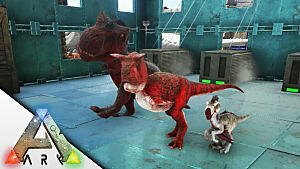 Other than taming at night, there's another way to speed up this process by sacrificing specific types of dinos. All wild troodon have favorite creatures that will decrease the taming time and make this whole experience much less frustrating. Some of these favorite creatures are sort of ludicrous -- for instance feeding the troodon a level 41 or higher giganotosaurus at night will immediately tame it -- but why on earth would you give up a tamed giganotosaurus? The effort just in getting one of those to begin with is insane. 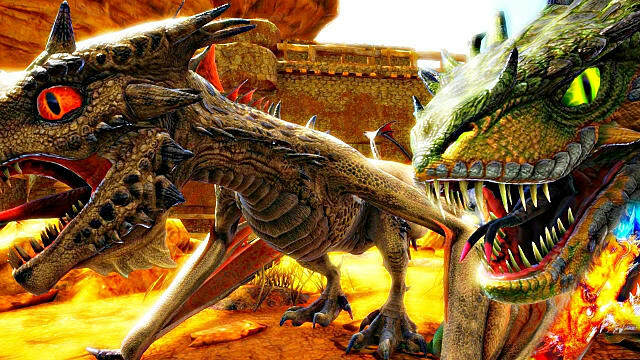 At this point the most effective (and just as importantly, most plentiful) creatures to feed for taming are dodos and baby wyverns (for those with the Scorched Earth DLC). A handful of higher level dodos or wyverns killed at night will quickly net you a shiny new tamed troodon! 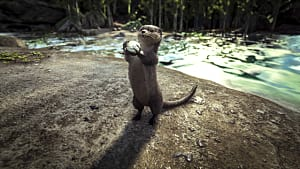 Sorry little guys, you are going to be someone else's supper.